As an Adobe Search Program Manager, Brian Watson manages the content production and flow to the Adobe blog publications. He specializes in building systems to overcome the constraints that often intercede in content marketing management. At Adobe, he writes to guide content marketers in solving their challenges. 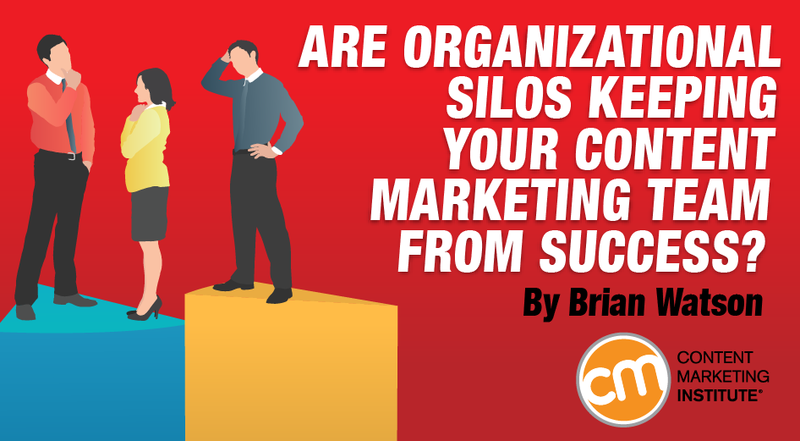 Brian loves to hear from his readers, and would appreciate any feedback to better understand problems content marketer’s face today. Connect with him on LinkedIn or Twitter @brianwcontent. Earlier this year, based on my work at Adobe and my career, I wrote Is Time Really the Problem? Break the Bottlenecks in Content Production to challenge readers to discover and address the real hurdle in their content production cycle. 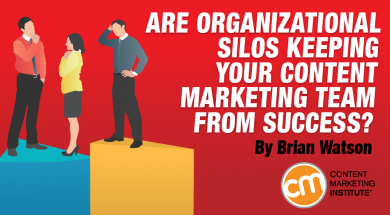 Simplifying the process is a primary concern for content marketers. As organizations get larger and more complex, they switch from having one person who handles social and PR to hiring whole teams to handle different aspects of the content marketing process. These might include search teams, SEO teams, and PR teams. 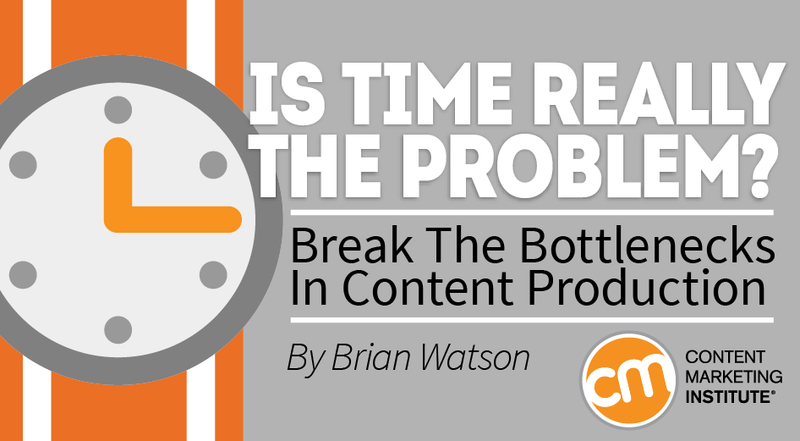 By far, I have found that the most difficult question content marketers face today is: How can I find the time to create enough content? Industry experts suggest hundreds of tips, including carrying around a notepad, doing voice recording in the subway, and more. However practical and useful those tips are, today I want to look at this dilemma from a company-wide perspective.